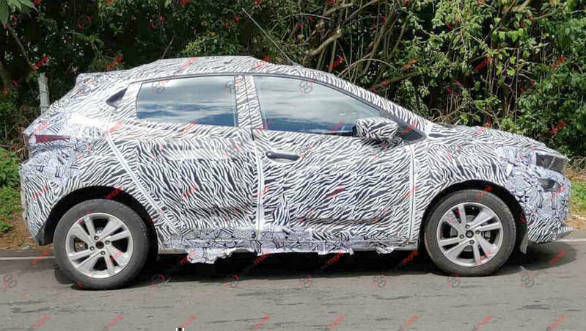 New spy photos have emerged of the the Tata 45X premium hatchback undergoing testing around Ooty. The premium hatchback is expected to launch in India by next year's festive season. The 45X, like the soon to be launched Harrier SUV, seems to carry forward a lot of the styling cues from the concept car, although with the sharp lines toned down to a large extent. The design is still edgier than what we have seen so far from Tata Motors. The large headlamps which protrude and sit flush with the grille, heavily raked C pillar and indented tailgate are some notable design cues. The Tata 45X is based on the Advanced Modular Platform (AMP), now named Alpha and features the brand's Impact 2.0 design philosophy. The 45X-based premium hatchback will compete with the likes of the Maruti Suzuki Baleno, Honda Jazz, and the Hyundai i20. 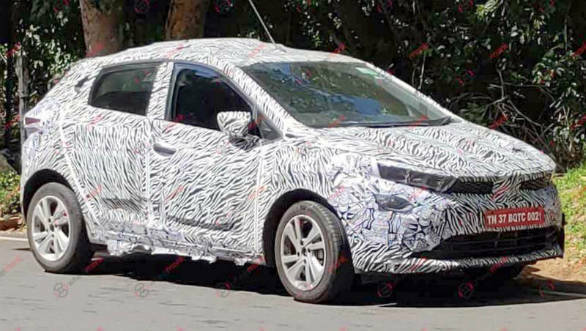 It is likely that the 45X will carry the same powertrain options as the Tata Nexon. That means the petrol variant will come powered by a 1.2-litre turbocharged unit producing 110PS and 170Nm. The diesel will be a 1.5-litre motor with an output of 110PS and 260Nm. This should put it right up there as the most powerful hatchback in its segment. We expect the cabin to feature premium materials and trims considering the 45X will take on the likes of the Honda Jazz and the Maruti Suzuki Baleno, both of which come well equipped. We also expect Tata Motors to offer the latest connectivity options including Apple CarPlay and Android Auto. The other aspect that we assume will already be there is a spacious cabin, an aspect where Tata cars never disappoint.